What kind of corvette are we talking about? C5, C6, C7? Z06? So does this kid have a name? Picked up the ecu yesterday and I was hoping to pull out the car today but I'm sure you can figure out what happened. In the meantime I almost finished installing my vent gauge. I glued the screen in place and mocked up the gauge itself, now I just have to secure the gauge and block the back from airflow and it should be good to go. Last edited by Nabs; 04-19-2014 at 03:38 PM. So I'm hoping to get my exhaust to sound like the new M3/M4. What do you guys think? Last edited by Nabs; 04-18-2014 at 10:49 AM. The first one was a joke, it sounds like a weed whacker. The second one was just an example of the difference between an exhaust cutout open and closed, which I'm thinking of getting. I actually like the sound of the second one with the cutout open. Last edited by Nabs; 04-18-2014 at 02:03 PM. Nice look with the gauge, looks clean! Last edited by Nabs; 04-21-2014 at 11:55 PM. While trying to figure out the issue with the car I've been slowly working on other things to get the car to my liking. 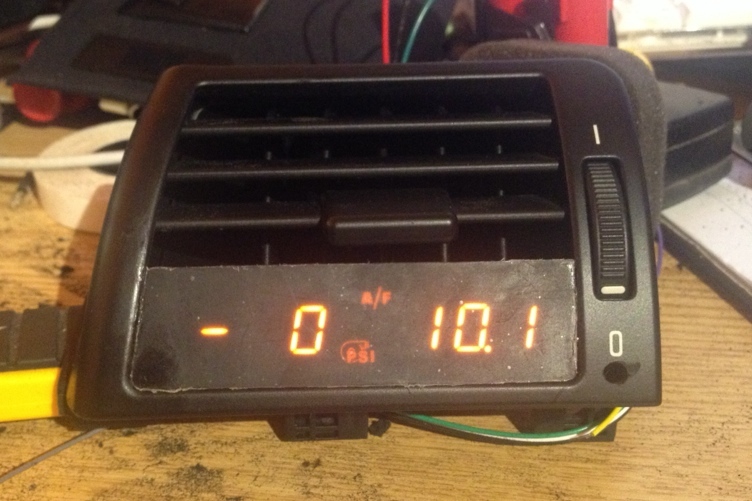 I rewired all my gauges and installed the new vent gauge. The first thing I did was rip out this lovely rat's nest of wiring that was set up temporarily back in the fall just so I could drive the car and monitor things. All the wires were properly soldered and heat shrink was used on all the connections. 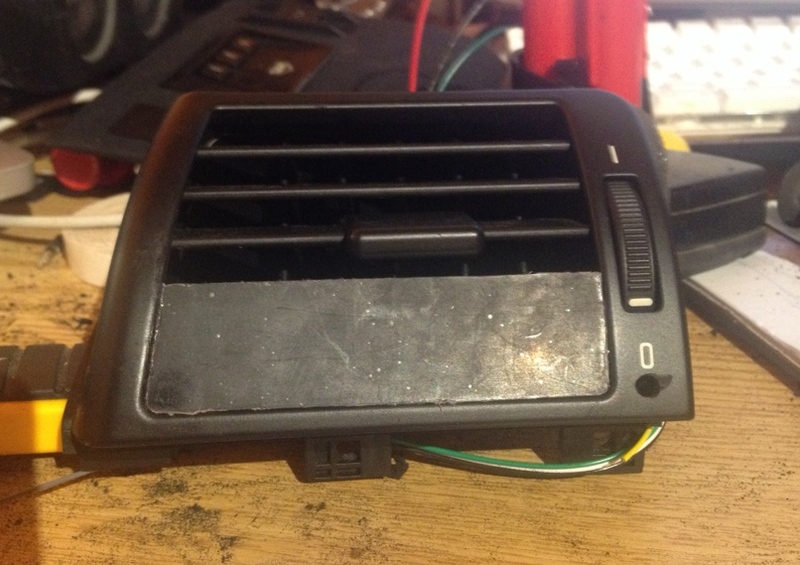 I also decided to mount by boost controller in the ashtray so that I can easily access it if I need to change settings and hide it when I don't need it since I can monitor the boost with the vent gauge. And finally the vent gauge. It matches nicely with the OEM lighting. So it turns out you can actually foul spark plugs with a fuel injected motor, carbon foul them that is. They're sending me a new set of plugs and injector adapters to hopefully finally get the car running properly. Last edited by Nabs; 04-27-2014 at 08:01 PM. Good work with the stealthy gauge installs. Tight, tight, tight! Thanks! I ended up finding some polyurethane line to use instead since I bought some quick connect fittings. Who do you think you are? A crazy, violent mexican drug dealer?